Marc David Seitles is a highly skilled trial and appellate attorney with extensive experience in white collar crime and criminal defense, known for his fierce and unrelenting representation of his clients. Marc is one of only a handful of criminal lawyers that has been repeatedly honored as a nominee by the Daily Business Review for Most Effective Lawyer. He also continues to be recognized by Florida’s Legal Elite, Super Lawyers, and the South Florida Legal Guide as a top practitioner in white collar crime and criminal defense. 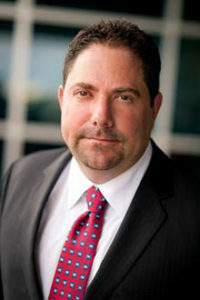 Prior to founding Seitles & Litwin, Marc was employed as a trial attorney with the Federal Defender’s Office, Southern District of Florida, where he successfully represented 100’s of clients through trials, pleas and sentencings and earned his reputation as being a fighter for his clients. Marc began his career as law clerk to the Honorable Lawrence K. Karlton, Chief Judge Emeritus, Eastern District of California. He has published numerous articles in law reviews and journals around the country on issues involving criminal procedure, land use and planning, and international law. His articles have been cited by legal scholars and have been used as law school curriculum. Marc is admitted to practice in the Southern, Middle, and Northern Districts of Florida, and the Third and Eleventh Circuit Court of Appeals. He has also been admitted pro hac vice in the Eastern District of Virginia, the Western District of Arkansas, the Eastern District of New York, and the Eastern District of Michigan.